This pattern contains three "Super Simple" towel designs, and they are great for beginners! 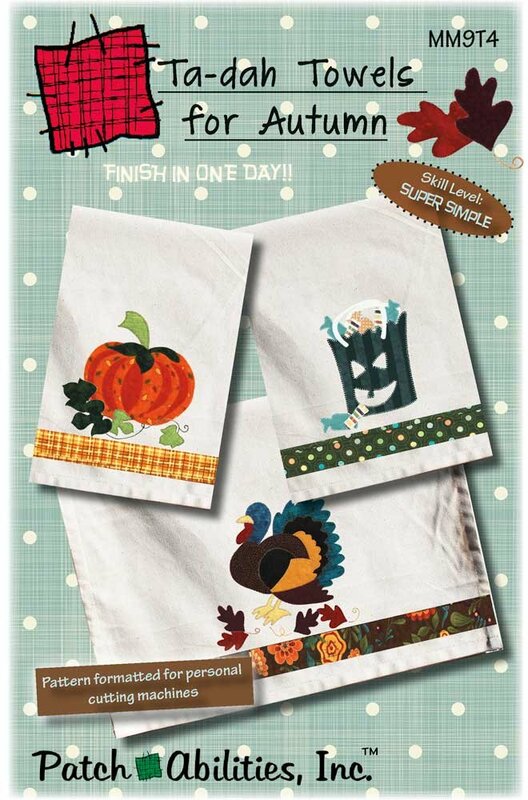 This pattern includes instructions for 3 Autumn designs: The fall designs are as follows: Pumpkin Time- a great pumpkin and green vine design, Sweet Treats- a Halloween inspired design that features a treat bag and candy, and Turkey Turkey- a Thanksgiving themed towel pattern design featuring a fat turkey! Towels are not included. Skill Level: Super Simple. Finish in One Day.